The front of a VW Bus. Still got its side mirrors. A contraption like this would make Heath Robinson or Rube Goldberg proud. I'll bet the driving seat is more comfortable in mid-winter than the seat it was originally fitted with. Just shows to go ya that anything is possible! I bet that many of us have enough odds-n-ends in our parts boxes to slap something like this together. However, you might be amazed at how much an old "hippie bus" all restored would fetch these days. As P T Barnum (circus promoter) quoted-"there's a sucker born every minute!". Wonder if this is classified as a "front engine" VW bus? 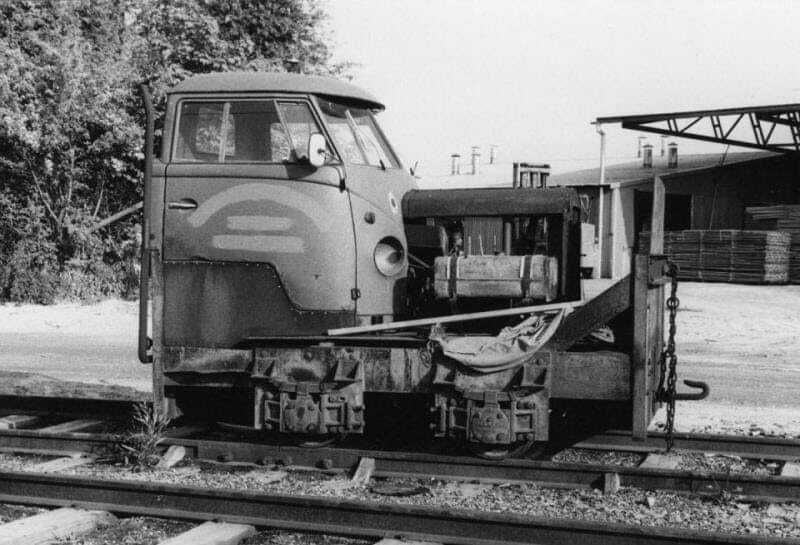 I'm inspired to look at railtractors again ... in a whole NEW way somehow ! ... but do have a couple of others kickin' around. I've not the first clue what personality, but it does have one.
" That thing has personality "
I gotta say Michael ... GREAT FIND ! I think that just could be my 'Wreck Of The Year' nomination ... ALREADY !